As chairman of the RAIN RFID healthcare workgroup, I am often asked about my vision for RFID and the role of RFID in healthcare. While I have been working in this industry and specializing in radio frequency identification (RFID) for many years, I can truly say that this is a pivotal moment. Supported by mass adoption in industries including retail, where clothing manufacturers such as Zara and Macy’s are placing RAIN tags in garment labels, thus enabling the tracking of the item from the manufacturer to distributor to retail store and eventually to the rack on the sales floor; and transportation, where airlines are enabling luggage tracking thus reducing the incidences of lost luggage; RFID has crossed the threshold from a developing technology into one with established standards and best practices, setting the stage for inter-operability, collaboration and tremendous growth. Advances in RFID are beginning to transform other industries including healthcare as well, as we move inexorably towards the tipping point. According to a report by Grand View Research, Inc. the global RFID technology market is estimated to reach $40.5 billion by 2025, due to increasing demands from the retail and healthcare industries. RFID is a wireless technology that connects billions of everyday items to the internet, enabling businesses and consumers to identify, locate, authenticate, and engage each item in seconds. RAIN is the global alliance promoting the universal adoption of UHF RFID. While the first practical RAIN RFID tags and readers were developed at the turn of the century, RAIN standards were not formally established until 2005. The standards have resulted in multiple solutions developed on the same platform, naturally benefitting the consumer as companies compete to develop higher-performance, lower-cost, integrated technologies. 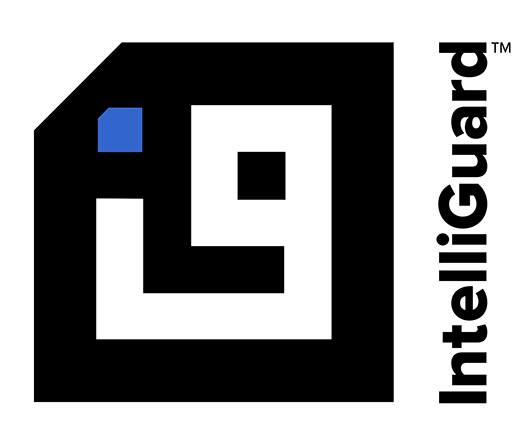 As an example of use, IntelliGuard® places RAIN RFID tags on individual medication vials, enabling pharmacy managers to accurately and simply track individual drugs as they travel through the healthcare supply chain. When an item is removed from a RAIN RFID-enabled cabinet, the closing of the door initiates a scan, recording exactly what was taken and by whom. This information is recorded, tracking where the item travels, enabling quick recovery as in the case of a recall, and providing historical analytical data for ongoing inventory optimization. 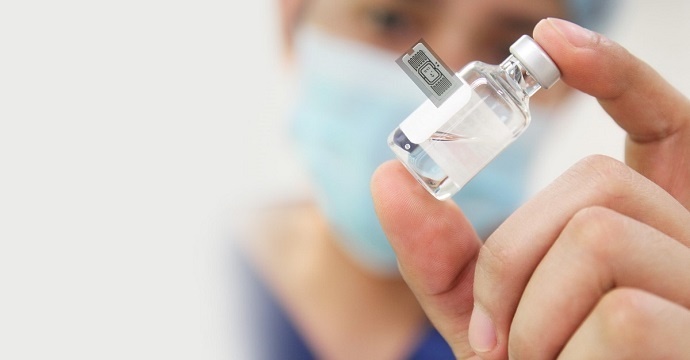 RAIN RFID automation benefits include guaranteeing the cold chain pedigree of medications; the elimination of manually counting medications; the elimination of human error; and patient safety through the ability to quickly find individual items that may be expired or recalled. Retail and transportation are two of the industries that have been at the forefront of RAIN RFID growth, using the technology to improve operations, increase efficiency and cut costs. Per my colleague Florence Lo from the SML Group, a strategic partner to the world’s largest retailers such as American Apparel, poor SKU-level inventory accuracy has been the driving factor for RFID adoption in retail. RAIN RFID offers detailed item-level tracking and a high level of accuracy, which has resulted in “game changing inventory utilization” for retailers, and over 5 billion RFID transactions tracked by the SML Clarity system in 2016. RAIN RFID is also enabling connections between items and consumers via the IoT through devices they already own. Delta Airlines is leveraging their smartphone app combined with RAIN data to track over 120 million bags annually across 344 airports, saving consumers from the hassle of lost luggage. I believe the accelerated rate of adoption of RAIN RFID seen in retail is now occurring in healthcare, where tracking individual items such as medications is even more critical. The medication traceability and visibility adopted in the pharmacy is expanding to the operating room and throughout the supply chain, enabling programs such as pharmaceutical consignment. In addition, the detailed item-level usage intelligence gathered is being used for robust analysis and ongoing inventory optimization. A wide spectrum of closed-loop RAIN RFID systems currently available benefit healthcare providers. The exciting development occurring now connects these systems to each other, to enable the next generation of end-to-end visibility. Pharmacy and clinicians would gain real-time visibility to drug location, status and usage. The tipping point will benefit all parties in the supply chain. We are excited to be at the forefront of harnessing the power of RAIN RFID throughout our suite of IntelliGuard® enterprise solutions, continuing to work closely with other RAIN technology providers and RFID healthcare technology leaders to expand the use of RAIN RFID throughout the supply chain, benefiting all parties, and most importantly, enhancing patient care and safety.